1635 Ridout Road is a 3, 051 square foot four-bedroom home in the Annapolis water-privileged community of Amberley. Situated on a private 2/3 acre lot, this home has lush, mature landscaping and a large, level back yard. Named one of the most desirable communities in Maryland by Baltimore Magazine, Amberley is just minutes from the Chesapeake Bay and boasts scenic trails, a neighborhood park, and three community piers with deep-water slips.Step into the light-filled foyer and up a few stairs to the main living area. The open floor plan boasts gorgeous hardwood floors and the living room has a wall of windows to enjoy the scenery. The living room space flows seamlessly into the dining space, which has French doors to the spacious deck, and to the updated kitchen. The breakfast bar is the perfect spot to sip your morning coffee and the granite counters and stainless appliances are sure to please the family chef! Down the hall is the master bedroom suite with full bath. There are two additional bedrooms on this level that share a hall bathroom and there is a separate laundry room. The walk-out lower level provides a fully finished space that would make a perfect in-law suite or private guest retreat. There is a large bedroom, full bathroom, kitchenette, and washer and dryer. The family room has a brick surround wood-burning fireplace. Down the hall is the entrance to the attached two-car garage. The lower level offers access to the private back yard with patio, deck, and tons of room to roam. This convenient location offers easy access to major commute routes and is close to restaurants, shopping, and more. By boat youre just a short ride to the Severn River and downtown Annapolis. 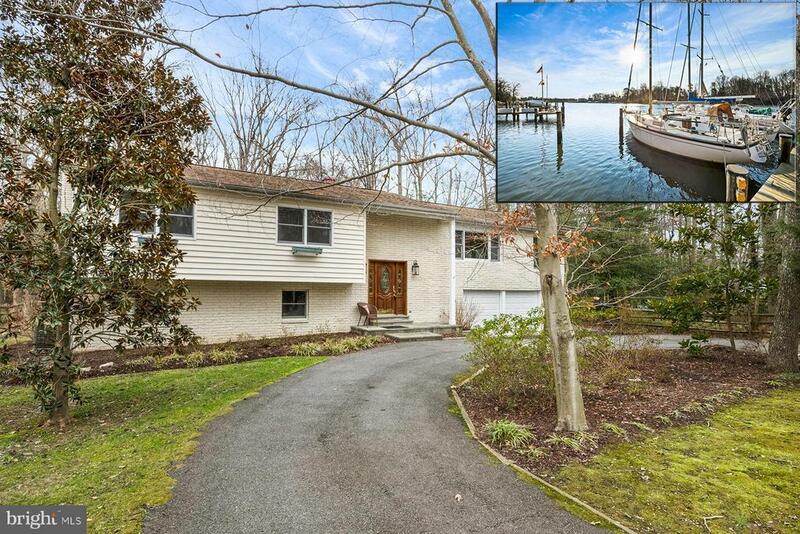 Schools for this home include Windsor Farm Elementary, Severn River Middle, and Broadneck High. Often, Amberley residents move around in the neighborhood but never leave! This updated home in a sought-after neighborhood has so much to offer; tour it today! Directions: Route 50 to St. Margaret's Rd. Turn left on Holly Dr. N, then bear right onto Holly Dr. W. Turn left onto Ridout Rd. 1635 is on the left.